for an experience you will never forget! The land has long been significant. Native Americans roamed this land and their spirit is evident to this day. The Farnam family traveled to the land from Connecticut in 1812. 200 years later, their pioneer energy lives on. The shadow of the roaring '20's lingers from days of a speakeasy. Smells fill the air to remind us of the Danish Smorgasbord era. Come out to feel the liveliness. It's amazing! 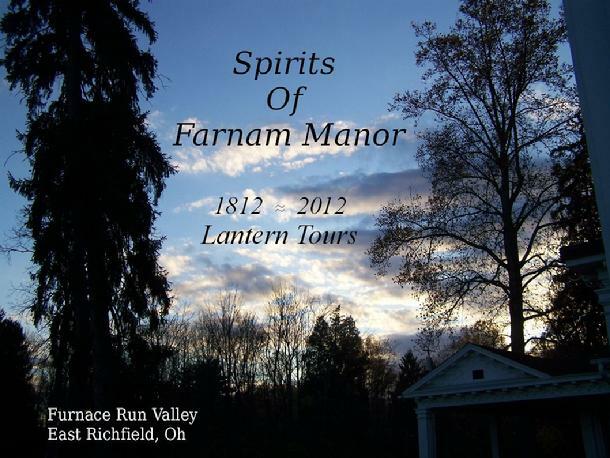 Your guide will lead you through the mysterious Farnam Manor, built in 1834. Who will you encounter? Each tour is unique because you never know what will happen! Shadows sweep through the halls, voices, moving objects.... Skeptics have been known to become believers! Than you can warm your bones by the bonfire and experience the peaceful moonlit skies and feel the energy of the crisp autumn air. Nothing evil, nothing fake. The spirits are just people...someone's past loved one. Who knows, it could be one of your loved ones. Some are resident spirits and others come and go. 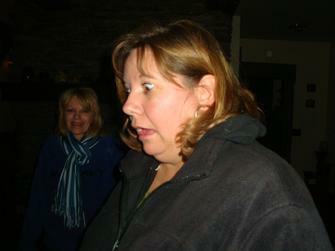 The spirits anxiously await your visit! Tues. Oct. 30th tours are cancelled due to the storm. Last tickets are accepted until 10pm except Fridays and Saturdays you need to be here no later than 11pm So don't be late!